Mobile blackspots and motorway network coverage are being improved across the country, according to a new report from the government. The Department of Communications' 2017 Annual Review of the government's Mobile Phone and Broadband Taskforce claims that mobile phone blackspots are being reduced, while a number of new sites have been identified "for the accommodation of telecoms mast infrastructure which will lead to improved coverage along the motorway network". Telecoms regulator ComReg does not know where many of the country's blackspots are due to limited testing ability across Ireland. Mobile phone licences only require operators to cover up to 90pc of the population, with no geographical coverage stipulation. This has left thousands of notorious 'black spots' around the country. In some cases attempts to build masts have been rejected by local residents. 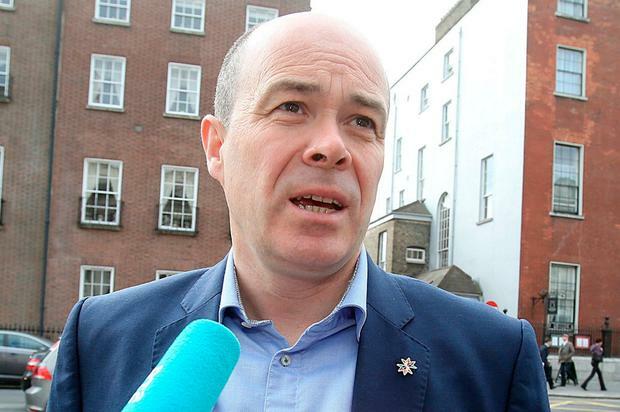 However, a national mapping exercise for mobile blackspots is under way, according to Communications Minister Denis Naughten. "My Department has worked closely with industry, ComReg and other stakeholders on a range of actions," he said. "This includes the updating of exempted development regulations relating to the deployment of telecoms infrastructure. "This provides consumers with information so that they are better informed when purchasing broadband services and mobile phone handsets or services and identifying practical solutions to improve mobile phone coverage which will further inform future policy to address critical blackspot locations," he added. Mr Naughten said that blockages over operators' access to roadways are now being solved, helping to speed up rural broadband rollout. He said that a plan to reduce friction between telecoms operators and local authorities is starting to pay off. The report claims that the establishment of a 'Blackspots Focus Group' is identifying specific locations where mobile coverage should be available.